News - Quickly and effectively maintain gravel driveways. Ensuring the gravel on your driveway is evenly distributed and potholes are filled can be a repetitive and time consuming task when using shovels, picks and wheel barrows. The DR Power Grader with EZ-Dial offers an ideal solution and will transform a bumpy gravel driveway into a smooth level drive. The 12 carbide-tipped grading teeth dig into compacted surfaces and redistribute existing driveway material—filling in potholes and smoothing out washboard. 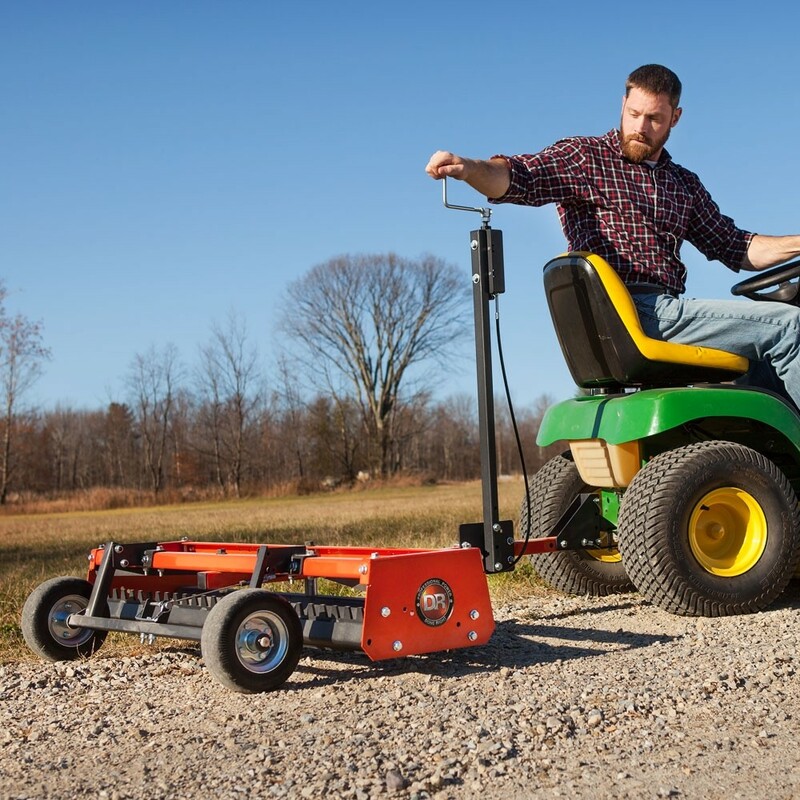 A simple hand-crank allows you to raise or lower the grading depth from the seat of your tow vehicle and for more vigorous grading, the built in weight racks can accommodate a pair of cinder blocks. The versatile tow hitch supplied with the DR Power Grader enables it to be towed using either a ball or pin hitch fitted to the rear of your ATV or lawn tractor. The DR Power Grader is currently available to buy from our online shop for £999 which is a saving of £100 off the RRP, or alternatively contact your local DR stockist. View a short video of the DR Power Grader in action below.